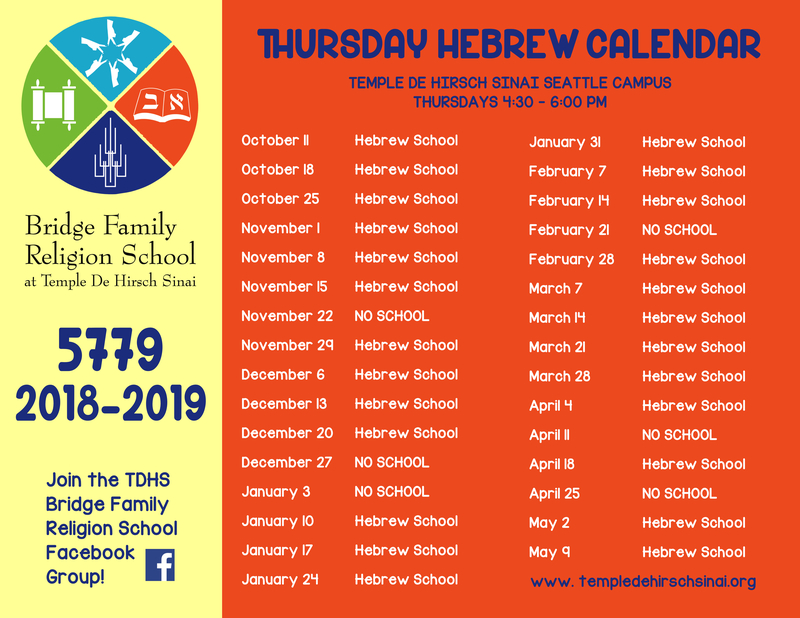 Bridge Family Religion School – Temple De Hirsch Sinai. 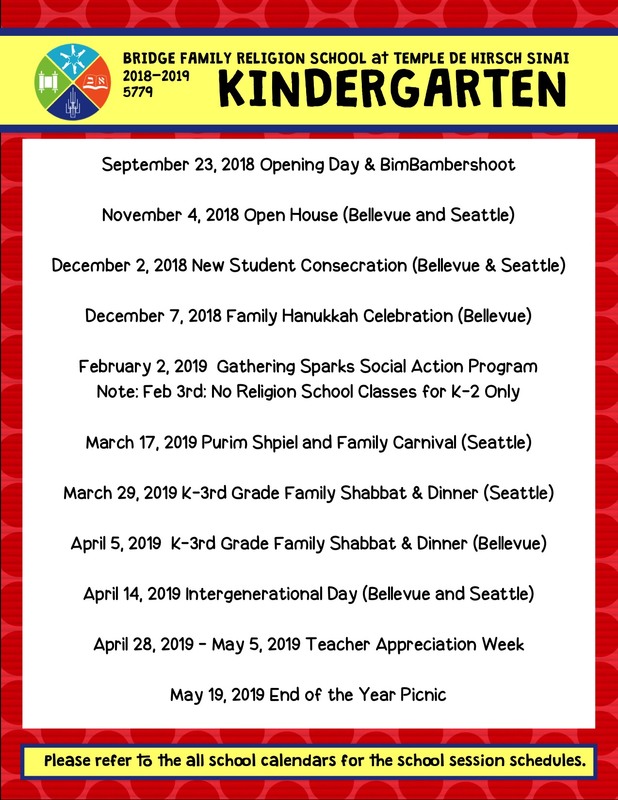 Bridge Family Religion School strives to be a welcoming environment for all types of learners, Kindergarten through 12th grade, seeking to inspire a lifelong dedication to Jewish learning and community. From our Sunday School, Hebrew School and other program options, we strive every year to be responsive to the changing needs of 21st century learners. Most recently, we have added the educational approach of Project Based Learning to our 3rd-7th grade programming. This is a method in which learners gain knowledge and skills by working for an extended period of time to investigate and respond to an authentic, engaging and complex question, problem, or challenge. We invite you to peruse all of our educational program options below. 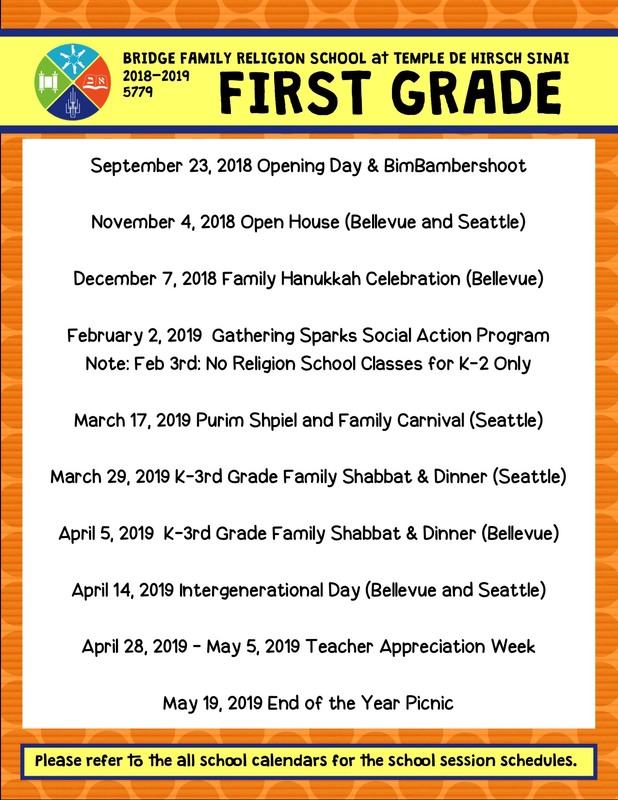 Our K-2nd grade program focuses on the foundational aspects of Judaism including Torah stories, holidays, basic terminology and ritual items, as well as beginning their personal formation of a relationship with the State of Israel. Every consecutive year our students build on the learning from the year before and are exposed to different traditions of each holiday and story. Our 3rd-7th grade curriculum takes an approach that focuses more on depth of knowledge rather than breadth of knowledge. We believe that creating meaningful experiences where students truly integrate and experience in-depth knowledge on a particular subject creates a stronger association with their Jewish identity than exposure to many subjects on a cursory level. 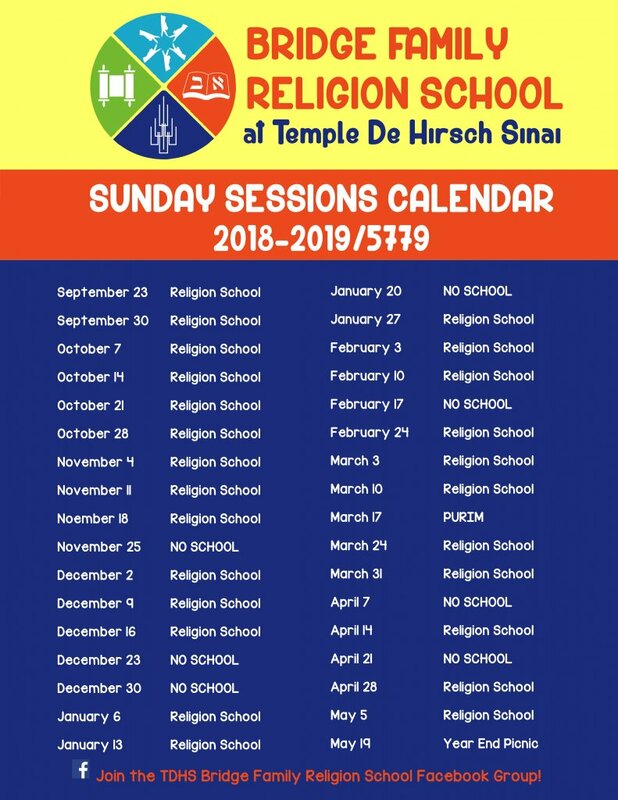 We believe that Jewish education is a life-long endeavor and that a religion school experience is just the beginning. 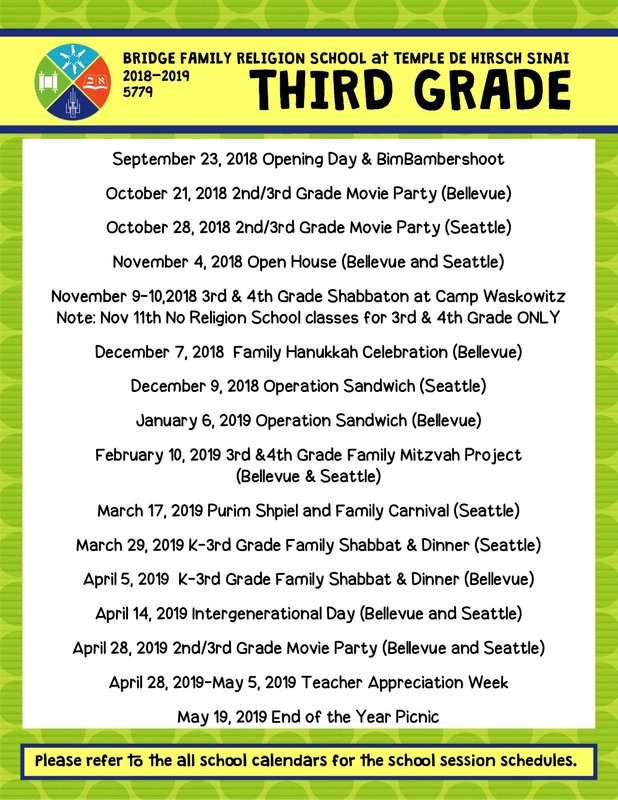 Our goal is to create a positive start to their Jewish education that will lead to a true commitment to Jewish learning in the years past their B’nai Mitzvah experience. 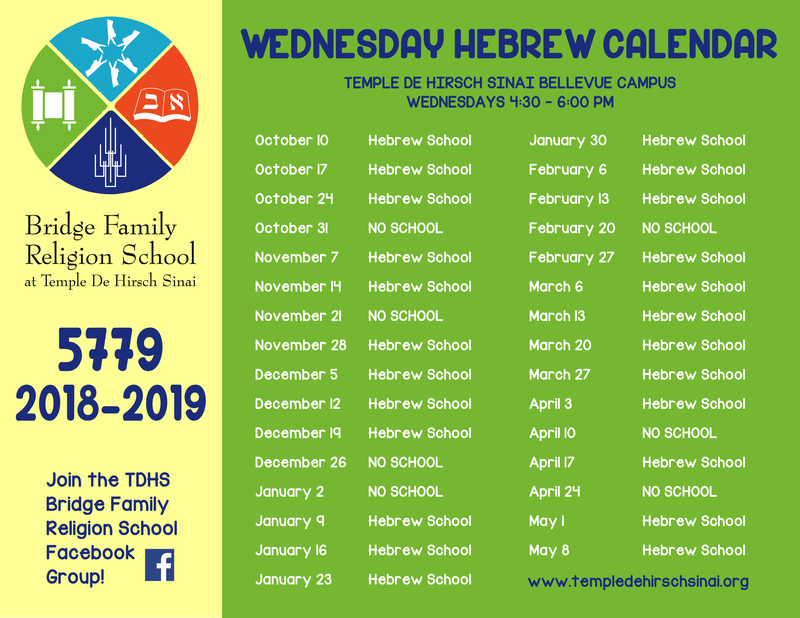 Our 8th grade program on Sunday mornings and our 9th-12th grade programs on Tuesday evening focus on providing our students with the space to have important conversations on big questions and big issues that they are wondering about in their daily lives — but from a Jewish lens. 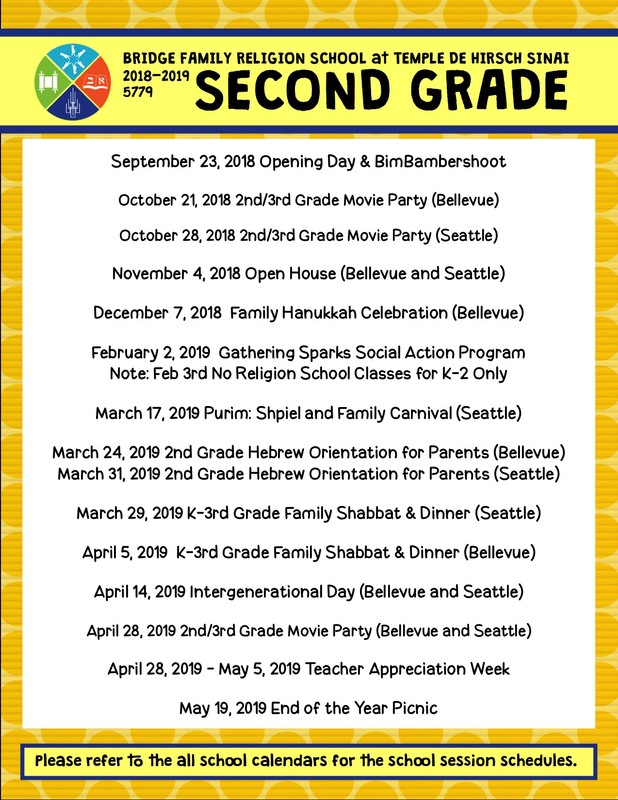 K-8th Grade Religion School takes place on both our Seattle and Bellevue campuses Sunday mornings from 9:30 am-12 pm. 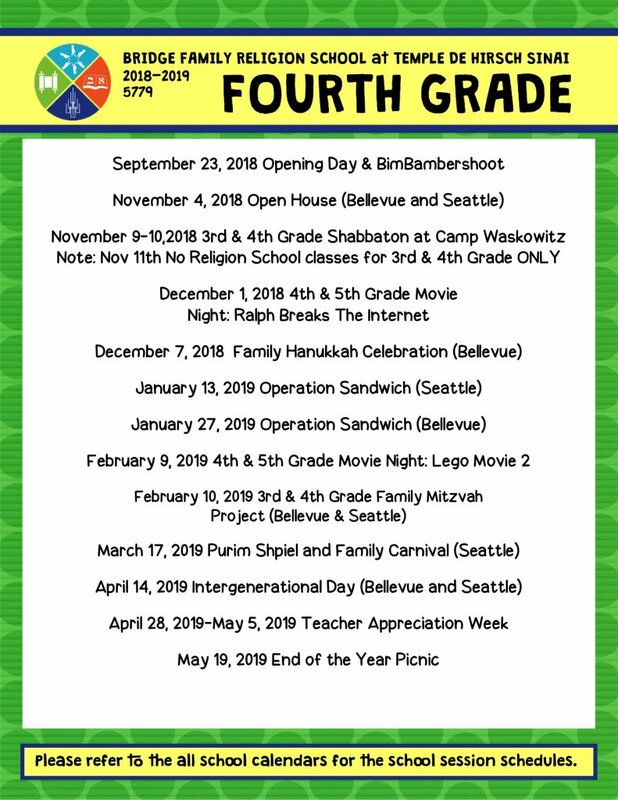 K-5th Graders have the option of attending either campus. 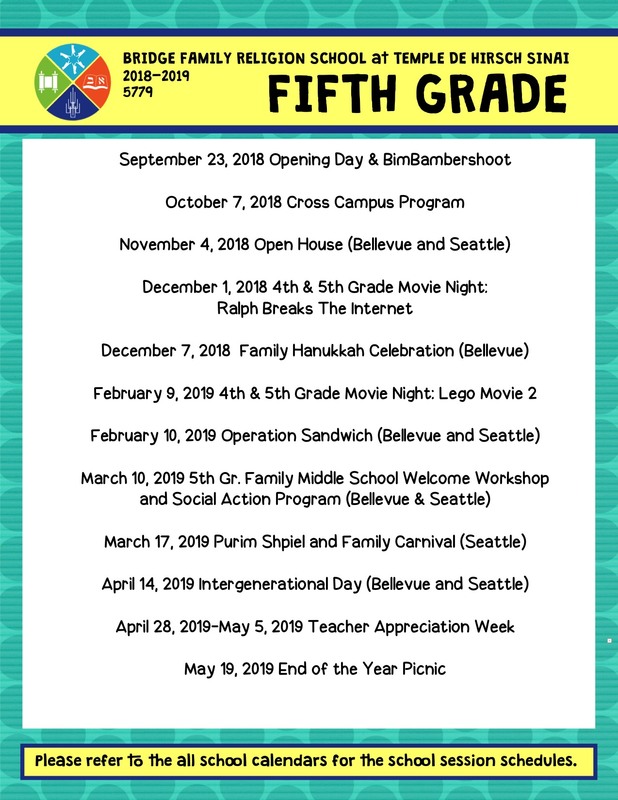 6th-8th Graders must attend the Seattle campus only. 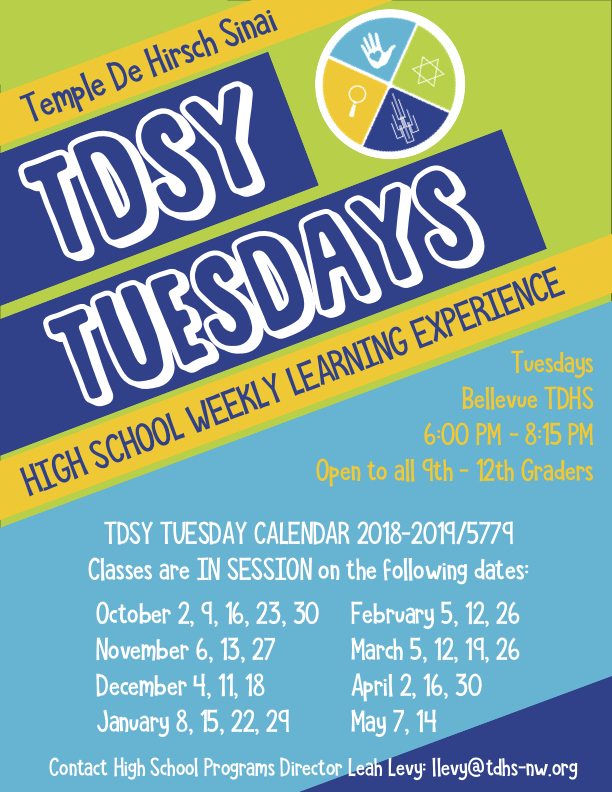 9th-12th grade educational program meets Tuesday evenings from 6:00 pm – 8:15 pm at our Bellevue Campus. We begin every Sunday morning with a T’filah service led by our Rabbis and songleaders. Parents are welcome and encouraged to attend.